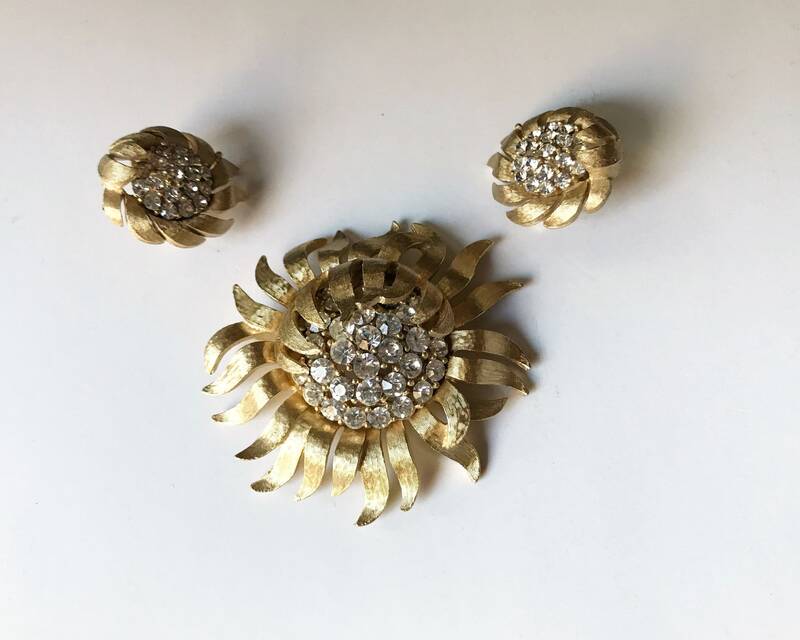 Stunning signed demi-parure of Crown Trifari clip-on earrings and brooch. 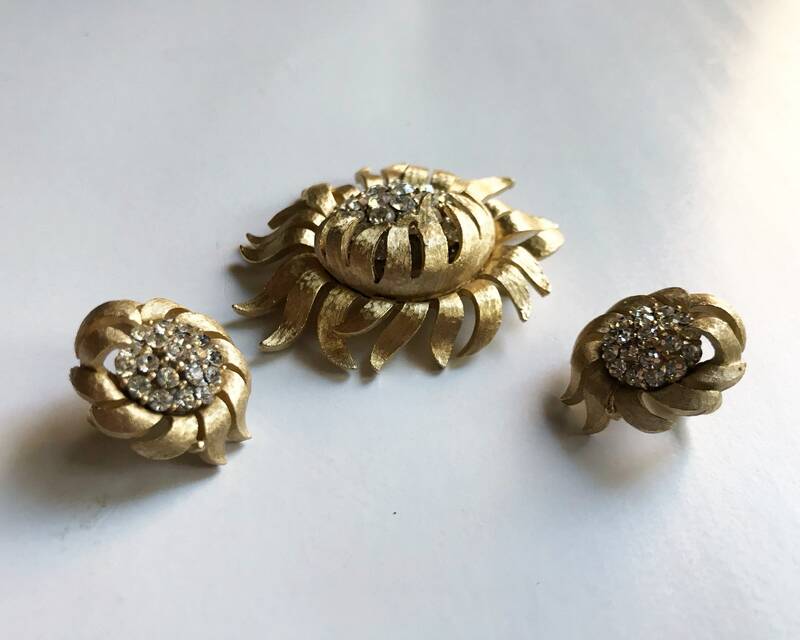 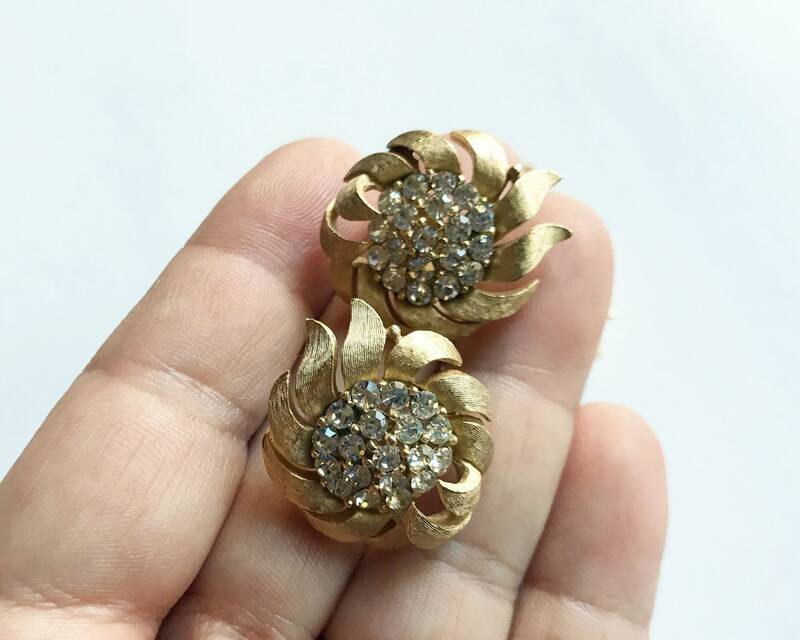 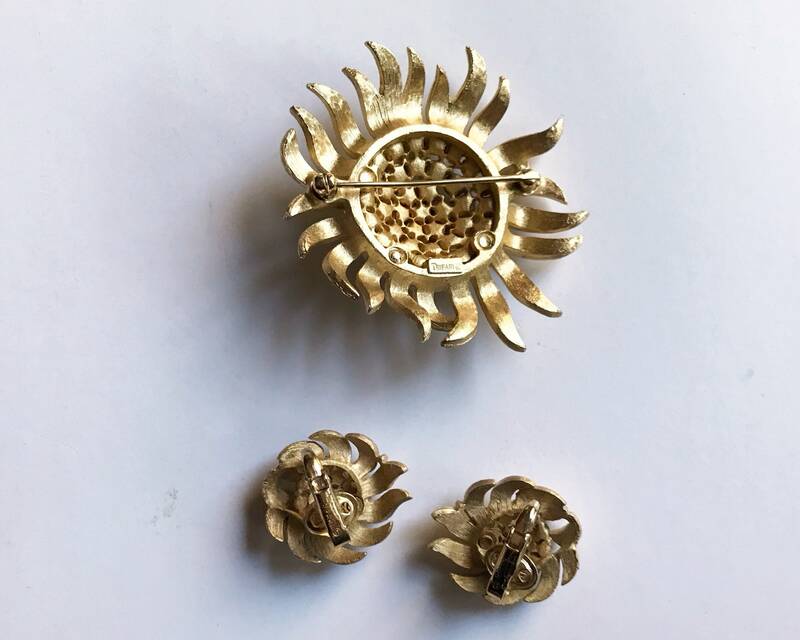 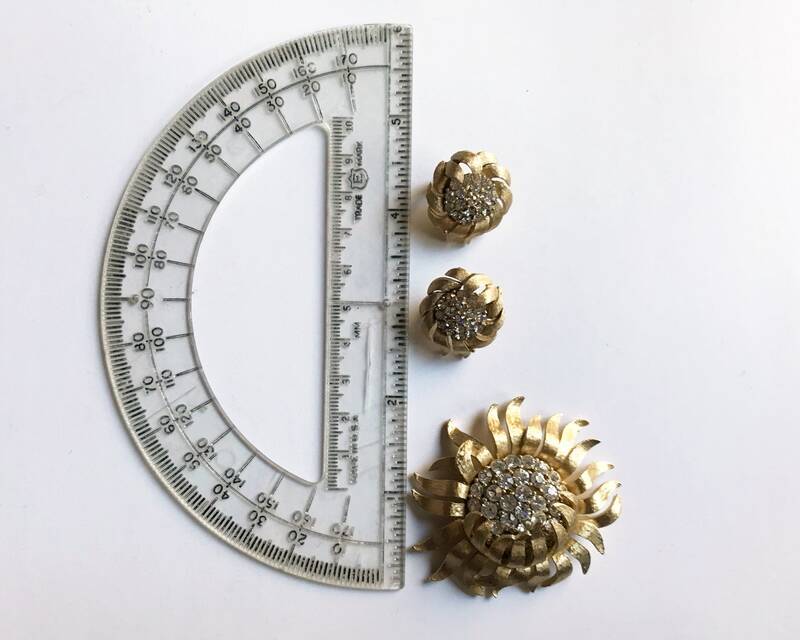 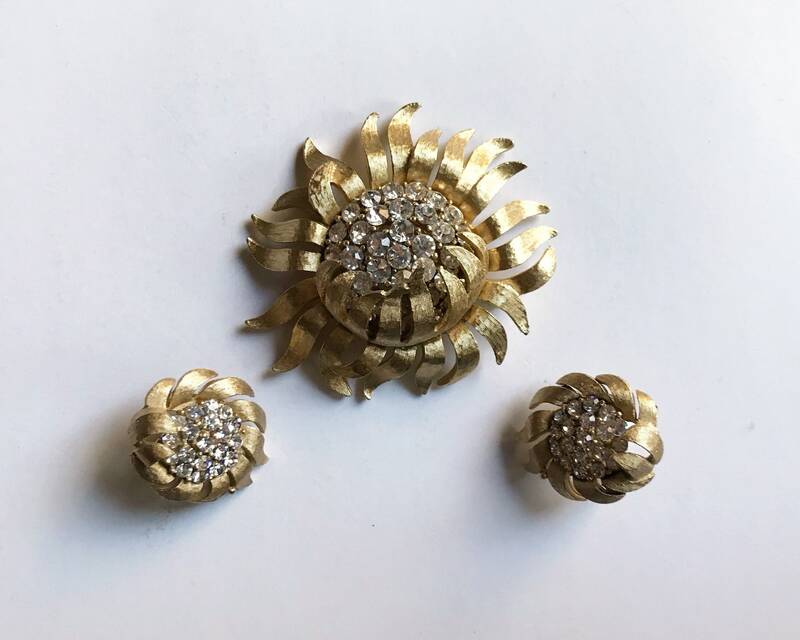 The mid century design is floral, perhaps a chrysanthemum or sunflower, gold colored petals clasping a rhinestone center. 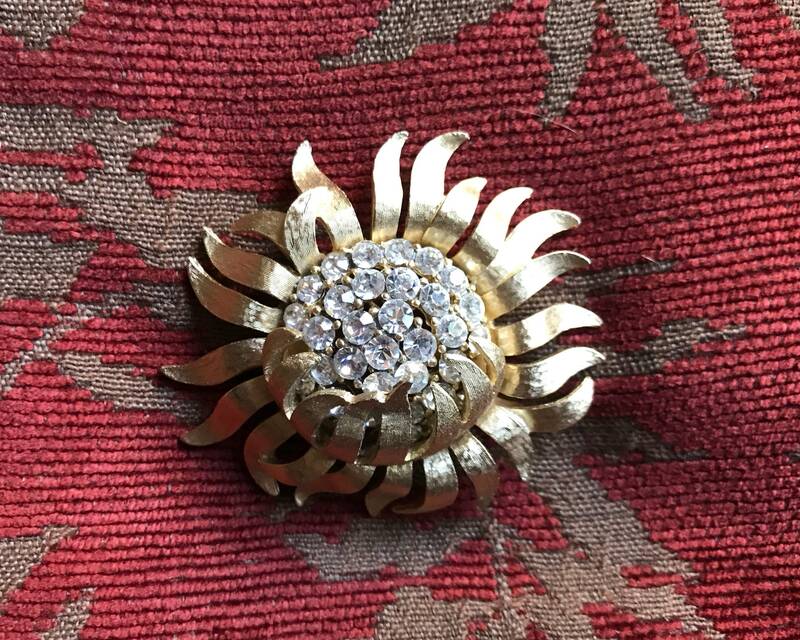 The workmanship is exquisite. 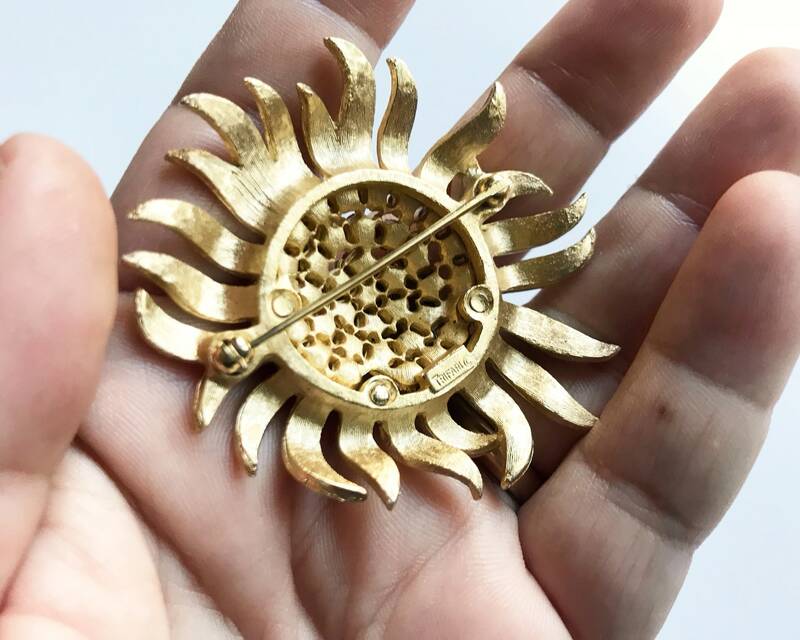 The photos don't do this gorgeous set justice. 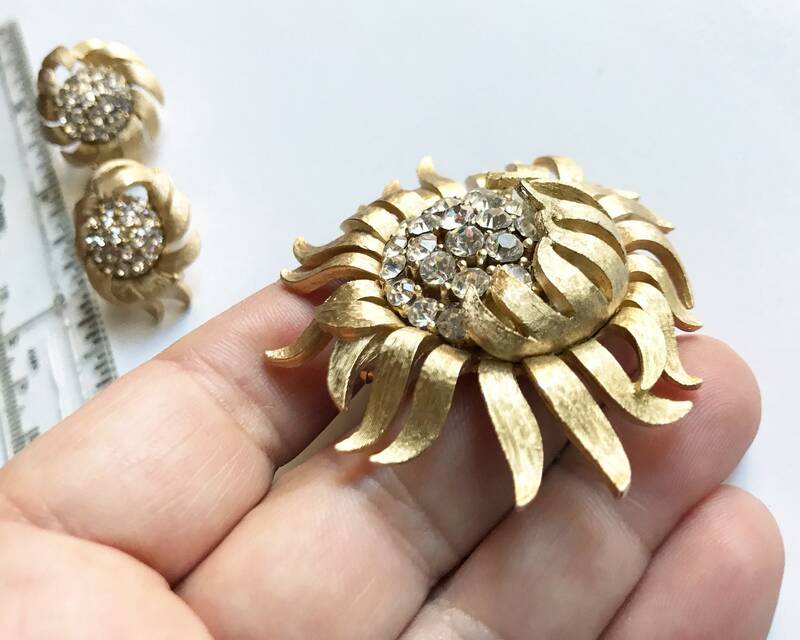 Since the 1920s Trifari was one of the premier names in quality costume jewelry in the US, and they were suppliers to Hollywood's Golden Age stars. 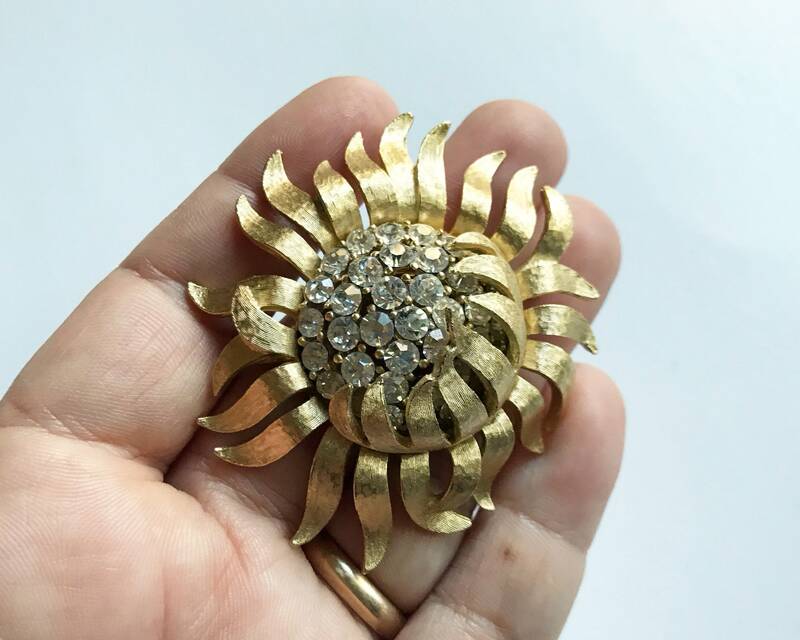 SIZE: Brooch is two inches wide.